à Seulement 45 min d'Annecy, le Canyon du Ternèze est LA découverte à faire ! Canyon d'Angon version découverte, au bord du lac d'Annecy à Talloires. Toboggans au canyon du Ternèze à 45 minutes d'Annecy, une expérience inoubliable! In Annecy, leisure activities are numerous, to do in spring, summer or autumn. 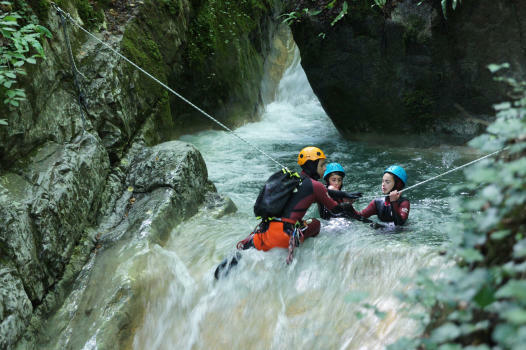 In the many fun-filled outings on the Annécien basin (paragliding, nautical activities and mountain activities), the choice of an activity remains very difficult for the demanders of thrills! 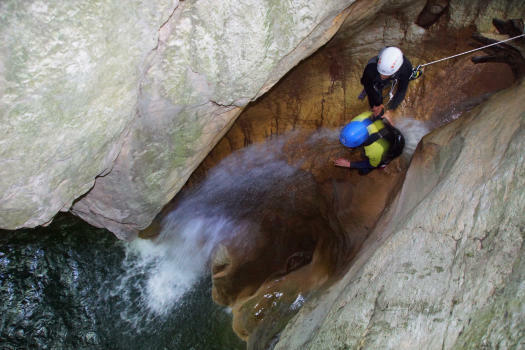 Canyoning near Annecy is an original choice, which will enable you to discover the region otherwise, off the beaten track and with a reasonable budget. 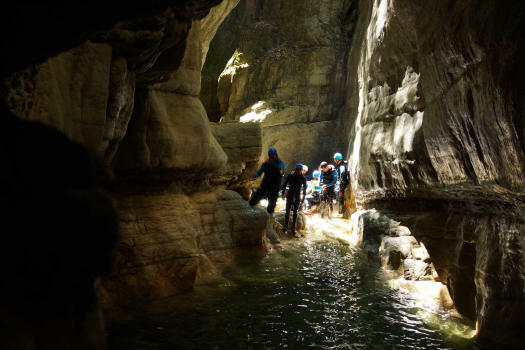 You will not be disappointed because the canyons are varied, unique and wild, all within walking distance of Annecy. Need help? Do not hesitate to contact us, fast reply guaranteed! 5 main canyons deserve their place on the podium of our selection canyoning towards Annecy, 3 courses are located on the Tournette massif and 2 courses are on the Bauges massif. The most classic discovery on the Annecy lake next to Talloire. 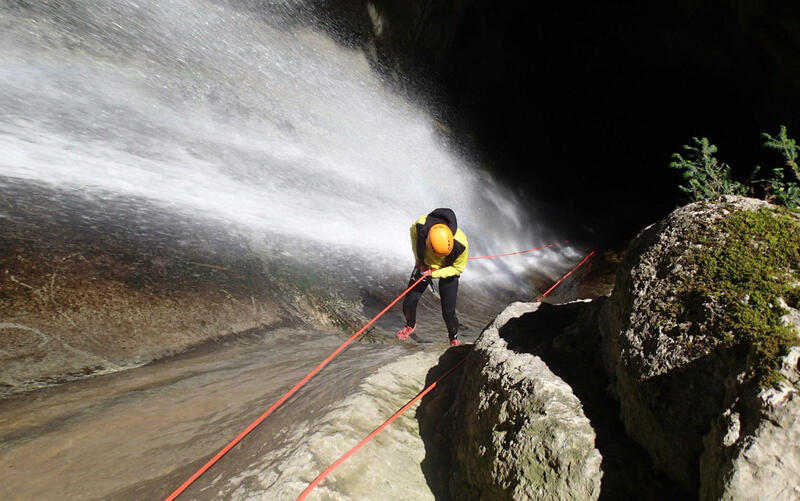 Ideal for beginners in canyoning, 2h30 of canyon with a beautiful chain of reminders and natural slides. At the end of the Annecy lake, at Vesone, Montmin is the refreshing canyon to do from July to September. Numerous jumps and slides for 3h30 of unforgettable descent! Practicable from June to October; Short, narrow cashed, he bears his name well. With great jumps possible (not obligatory) swimming, slides in an extraordinary setting. Emotions in perspective!